Cynthia began her career as a financial advisor in 2000 after working as a teacher and school administrator for 20 years. Her experience in education has been a cornerstone to her work as a financial advisor. Her insight helps clients navigate through their financial lives. Cindy considers herself to still be an educator by helping people to understand their portfolios and decide what options they might choose for the future. Cynthia holds a Bachelor of Arts in Education from Wayne State College and a Master of Arts in Education - Elementary Administration from Clarke University. She enjoys getting to know families and helping them put together plans for their future by listening to their needs and examining their goals, risk tolerance, and time horizon. Active in the community, Cynthia is a former board member of Girl Scouts of Greater Iowa and Quota International. 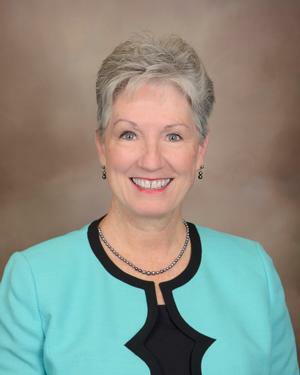 She has also served on the school board and finance board for Bishop Heelan Catholic Schools. Cindy and her husband, Bob, are proud parents of six children and six grandchildren.